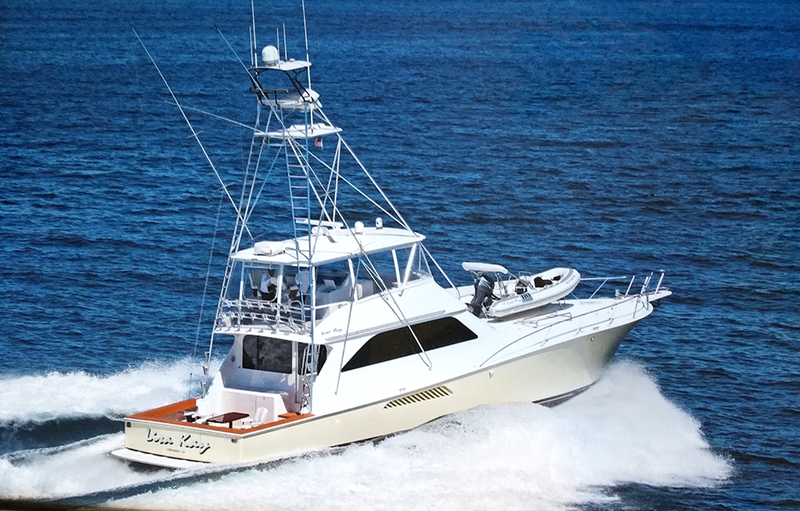 Lisa Kay is the most Beautiful Viking Sport Fisher of them all with a remarkable equipment list of custom upgrades which put this Fishing Machine / Family Yacht in a pedigree at the top of the West Coast Market! This Stunning 2003 61’ Convertible 3 Stateroom 3 Head Layout is a Viking Yachts Custom Order with Beautiful High Gloss Custom Interior, Lady Yellow Colored Topside, Huge Teak Cockpit & 40’ Palm Beach Tuna Tower, West Coast Foredeck set up with Lifting Davit for Big RIB & Jet Skis, Bow Pulpit Anchor Windless, safety rails, 3 fuel tanks w/ another $800K in Custom upgraded systems & equipment. Lisa Kay is a “Turn Key Yacht ready to Cruise & Fish" !! 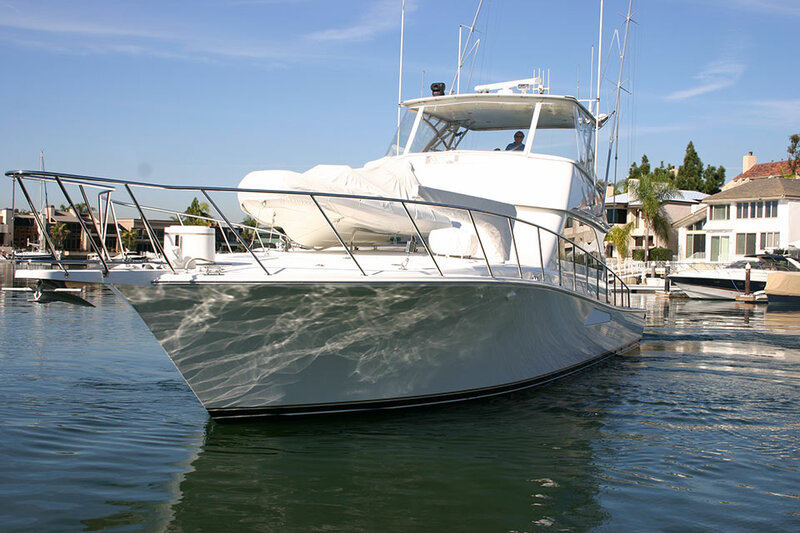 "Intermission" is a Highly Customized one of a kind West Coast Pedigree Family Yacht & Tournament Sport Fisher. A 30 Year Valued Relationship between Vessel Owner & Capt. /Broker is a remarkable combination of the best that Viking Yachts Factory brings ... then paired to a Carte Blanche Commitment by Current Newport Beach Owner to create the most Remarkable & Very Special West Coast Custom Outfit 55' Viking on the Water. Viking Yachts are the Finest Production Sport Fish Yacht on the World Market .. A Family Owned United States Company in a Top Notch Manufacturing Facility w/ Highly Trained Experts in Design & Fabrication totally committed to building Beautiful, Fast & Reliable Thoroughbred Sport Fish Yachts that truly blow the competition away !! "Intermission" Listing Specifications & Equipment List is compiled by Capt. Tom Orchard Broker of Record for 2003 New Purchase, Commissioning, Custom Outfit Project Manager & Standing Captain from Purchase Date to Current Listing. 875 Hours of Perfect Care / Captain Maintained.